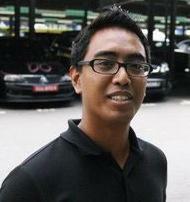 In response to the growing criticism of the handling of the inaugural Youth Olympic Games (YOG) and to the food poisoning scandal that affected 26 YOG volunteers on 15 August, 2010, the 27 year-old Abdul Malik Ghazali posted an angry comment on his Facebook account and on the "I hate the Youth Olympic Games Organizing Committee" Facebook page saying that it is time to "burn" Singapore's Minister of Community Development, Youth and Sports, Dr Vivian Balakrishnan, together with the ruling People's Action Party (PAP) and called on his fellow citizens to “rally around and vote them out.”Despite the fact that he was using a pen-name on Faceboook, Abdul Malek was arrested at his workplace on August 24, 2010, for “inciting violence and public disorder”. It's sill not clear how the identified him. According to AsiaOne News, a statement by the police confirmed the arrest and said that “he was released on bail pending further investigation.”Abdul Malik said in comments published Wednesday by The New Paper that "the comment is a metaphor". "I did not intend for it to be taken literally. I did not mean for someone to actually burn," he said.